This studio photo of the Ngāpuhi nursing sisters appeared in the Auckland Weekly News on 5 July 1901. According to the Weekly News, the women rode around Northland on horseback, ministering to the sick. In addition to training in first aid, the sisters raised funds to support the troops in the South African War. 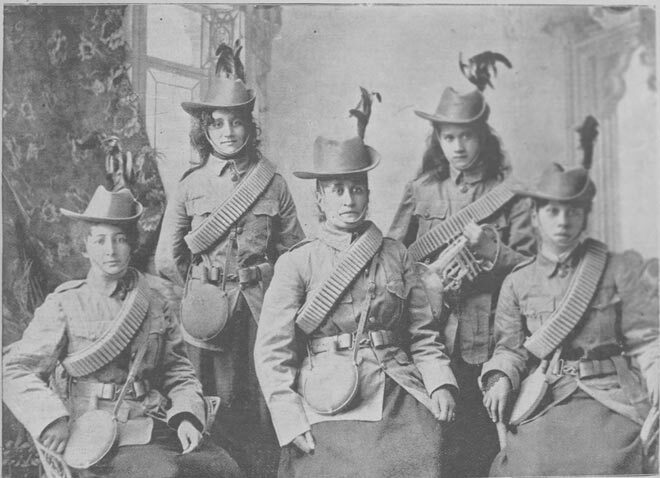 Their uniform was based on that of New Zealand's mounted troopers in South Africa.